While getting obsessed with planning the wedding perfectly may stress you out and take a toll on your health, some amount of pre-planning and preparation is always necessary to avoid mismanagement and chaos on the day of the wedding. You can manage better, remain stress-free and enjoy the planning & proceedings for a very small investment, with our online wedding planning software, WedPlan. Planning a wedding is fun although challenging. You might want to save your time and energy by hiring a wedding planner to take care of the arrangements. Your wedding planner can suggest new trends in the event industry and these new ideas can make your wedding event stand out from the rest. You also save a lot of running around and efforts allowing you to spend much more time with friends and family. Here is a step by step to guide that will help you choose a good wedding planner and also enjoy the experience without confusion and disputes. Talk to your friends and acquaintances, who have had a wedding in the family recently and employed the services of a wedding planner. Did they like the services rendered by the planner and whether they will recommend them for the wedding in your family. Also visit a few wedding portals to identify a few popular planners based on the reviews. Check their samples and portfolio. Like it? Put them on the list. The next important step is to narrow down the list to 3 or 4. Call each of them and request an appointment so that you can brief them about your vision for the wedding. When you meet the shortlisted planners face to face, outline your vision. Carry the magazines, cuttings or even your inspiration board to help the planners get an indication of your taste or the theme you want to follow. Ask them to make a draft proposal or presentation and see if it impresses you. Go through the samples, photos and layouts of the past assignments of the planner to get a good idea about his competence as well as his style. Selecting a planner with some years of experience is advisable but don’t consider it as a golden rule. Be receptive to new ideas if these complement and add value to your own ideas. This is one area where you would need to trust your gut feelings to a large extent. But at no point, let your logic or resolve go for a toss or let the planner dictate terms to you. This is undoubtedly one of the key elements of the entire planning process. You must ensure the planner has understood the budget and the constraints. Give him a ballpark estimate with the deviation margin that you can allow. Check whether the planner has prior experience of planning weddings in the range that you have given. If you want a small, intimate wedding and the planner only has experience of working on lavish and extravagant weddings, you can get in unnecessary trouble later. The planner has to be actively involved in the planning and execution from the beginning to the end. So you have to ask him to chalk out a timeline for pre-wedding events, which he and his team would stick to. The team should follow the schedule at every step of planning, selection and procurement process. Before signing the contract, make sure you have a clause to cover you if he deserts you midway or gets involved with too many weddings at the same time and can’t give you the desired attention. Most planners take multiple assignments based on their team strength. However the assigned person must be present at all important times and during your events. He should also be able to build a good rapport with you and your family as you will be referring to him for every single need. A leader is as good as the players. The execution team members need to be dynamic and enthusiastic. Don’t go just by the reputation of the planner. Talk to a few members of the team and see how much they share the vision of their leader and how responsible they are. You should ensure that the planner has enough staff to handle separate tasks and operations. If he outsources some of the responsibilities, he should coordinate and communicate with them effectively. A planner is expected to have good connections in the industry and so you can expect a relatively hassle-free booking of venues, caterer, artists and performers to entertain the guests. He can even leverage his connections to get some difficult to get items, venues or artists. A good wedding planner would probably get you better deals and discounts with several vendors. Don’t push him too hard on this though. Also once you sign the contract, don’t nudge him to get you better deals at every step. Destination weddings require specialized knowledge and much better coordination skills. Check whether the planner has a good ground team at the destination. A friend recently hired a particular wedding planner at Bangkok mainly because the co-owners spoke fluent Thai and were local residents for more than 5 years. Sometimes, the wedding planners have tie-ups with local event management companies at the destination and a lot of work is outsourced to them. The wedding planner should ideally be present at the destination well in advance to monitor the entire operations. If things can go wrong, they will. Is your planner a good crisis manager? Can he handle sudden developments with ease or he will get a panic attack? You might like to discuss a few hypothetical situations and note his reactions and answers to them. Ensure that he gives enough importance to the crisis management plan. What if he falls sick or due to some unavoidable reason, he is unable to land up at the venue on the day of the wedding? The planner needs to have a good backup team who would not let his absence disrupt the event. A good event management company can get your guests impressed and satisfied with your hospitality. 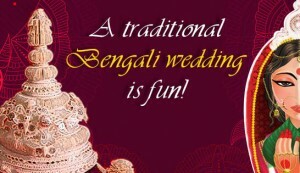 You will also be relaxed and get to spend more time enjoying the wedding rituals. 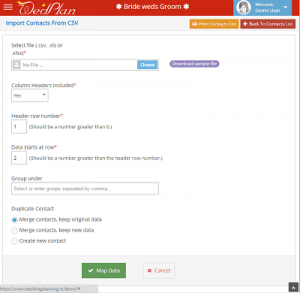 WedPlan online planning software will help you and your event manager stay on the same page and collaborate on the arrangements very easily. Take a FREE demo and experience the convenience. Some of our prospects who really liked the WedPlan software were hesitating to use it thinking that they will have to enter information about all the guests manually. Are you thinking the same? Let me put your mind at ease. We have a very sophisticated contacts’ import facility that allows you to import data from your Excel or compatible files. If you have the data in a database, just export it to a CSV file and then import it in WedPlan. The software will guess and match columns from your table to the corresponding column in the software. So you may say fname and we will know that is to be put under ‘First name’. If we cannot guess a match, you can also drag and drop columns for the right match. This is easier done than said. The import only happens after you confirm all the matches. 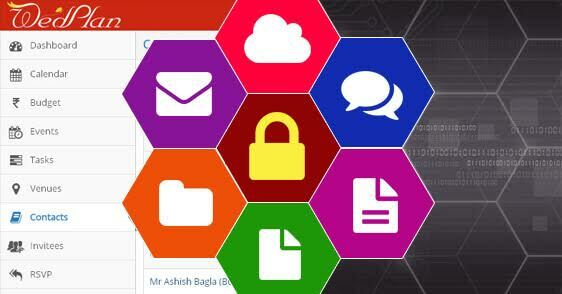 Even if you have multiple data files like clients, family, friends, overseas guests – you are good to go. Just import these one by one and they will all be ready for you to start selecting invitees to the different functions. Best wishes for your events! Experience the convenience – request the demo login details here.